Let me tell you guys something. I am currently up to my eyeballs in nut butter. There is a problem. In my pantry right now, I have: Earth Balance coconut peanut butter, MaraNatha caramel almond spread, Peanut Butter & Co. dark chocolate dreams (individual packets), Artisana raw pecan butter, TJ's sunflower seed butter, and 7 jars of peanut butter from PB Crave. Why 7 jars, you ask? Well, I think PB Crave didn't realize they already sent me a box to review - so two boxes of 4 jars of peanut butter each (lots of nut butter) showed up on my doorstep! Crazy. I mailed one jar off to another blogger to try a couple days ago. But you know what is good about this "problem?" I love peanut butter! And more importantly... 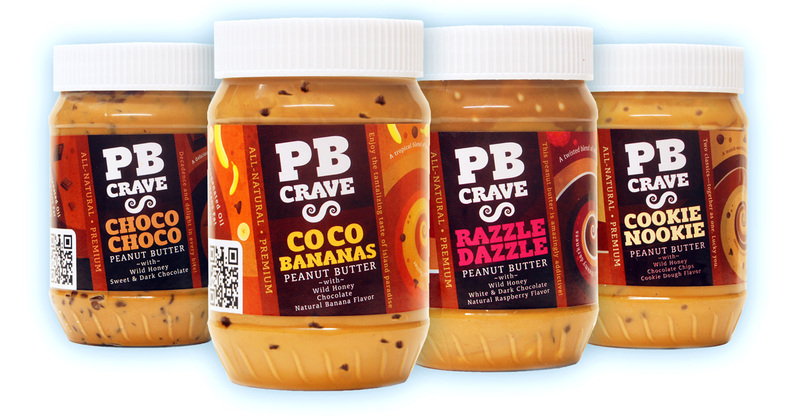 I love PB Crave! This peanut butter is crazy good. And can you believe the company was started by a guy who used to hate peanut butter?! Insanity. Just look at the packaging. Isn't it eye catching? I was sent some of each flavor to review. I loved them all. I think my favorite was the Razzle Dazzle - it was both dark & white chocolate, wild honey, and raspberry. Yummy!! They also have Coco Bananas (which definitely tasted banana-y! ), Choco Choco (which is lightly chocolate-y), and Cookie Nookie (which tastes like a little bit of cookie dough). They are all delicious. I ate it straight from the jar with a spoon! Unfortunately, this does not include the Coco Bananas flavor, which I thought had the second most flavor (Razzle Dazzle was first, of course). But never fear! You will really enjoy these three jars of nut butter! I promise. 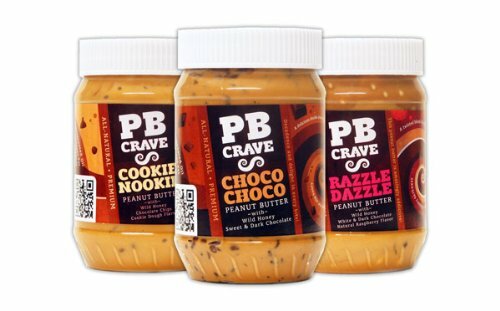 MANDATORY: Follow Passing Daisies and PB Crave on Twitter and tweet the following: "Enter to win a case of peanut butter from @PBCrave on PassingDaisies.net! http://bit.ly/nQkq1N #21daysofgiveaways @cityxlights13"
6. Like PB Crave on Facebook. THE WINNER OF THIS GIVEAWAY WILL BE POSTED WEDNESDAY, JUNE 20. THIS GIVEAWAY ENDS TUESDAY, JUNE 19 AT 11:59PM EST. Sorry, open to US residents from the lower 48 states only. I love seeing your posts in Google Reader! And, I'm loving this giveaway. I love, love, love flavored peanut butter. My favorite company no longer exists, but I'm so happy to hear about this one. Keep up the good work! 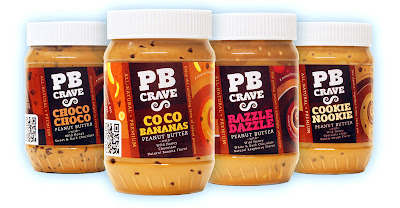 I liked pb crave on facebook! I followed you on blogger! I would love to see more reviews, but I love the blog just the way it is! I love this giveaway! I looooove PB and Co peanut butter, and I have always wanted to try PB Crave!! oh my gosh, what a great giveaway! i am SUCH a huge nut butter eater! I make my own...probably every 3 days! that's how fast i go through it!! haha thanks again! Oh dear god I have to to find out where to buy this razzle dazzle flavor if i don't win. i already follow you on blogger. i'm @kuntrageous but i think my subscriptions are prviate. And I follow your blog through Blogger! I've been wnating to try this brand for a whiile now! Enjoy reading the product reviews & recipes! I would love to see more healthy dessert options on here! :) Love your blog, girly! Followed you and PB Crave... also tweeted! It's my first time seeing your blog. Peanut Butter brought me here. LOL. I'm a fan of the random. Something that makes your blog different. Unique. Information, reviews and workouts are always good, but the posts I enjoy are daily experiences. Something random that happened to you, told in your words/style. Look fwd to reading more. Tell you anything I want? How about this: I drank half a Snapple Rasberry Tea. Sometime I'll purchase one, but will only drink half of it and save the rest for the following day. Helps me keep my calorie/sugar intake low, but enjoy something delish. I follow you on Twitter and Tweeted too! I'd like to see more workout ideas! Love your informative recipes and product reviews! Follow you on Google Blogger too - thanks for all these giveaways! I'd love to see more of your recipes! Enjoy reading and experimenting with the recipe posts. Also like to read product reviews. Liked PB Crave on facebook too! I'd like to see more restaurant/cafe reviews! Day-in-the-life posts are fun, too! Love your blog, I like your product reviews.